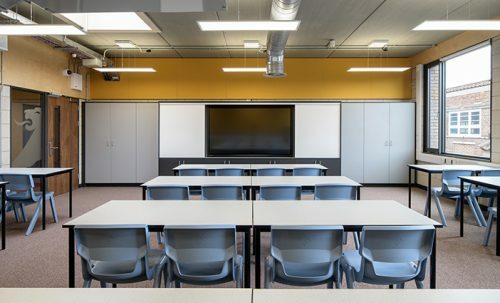 A new standalone building to accommodate growing pupil numbers, the project will provide a robust, future-proof learning environment. 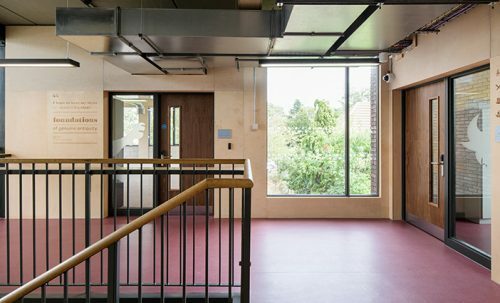 The rational and repetitive floor plan maximises flexibility while maintaining natural links into the existing school landscape and circulation. 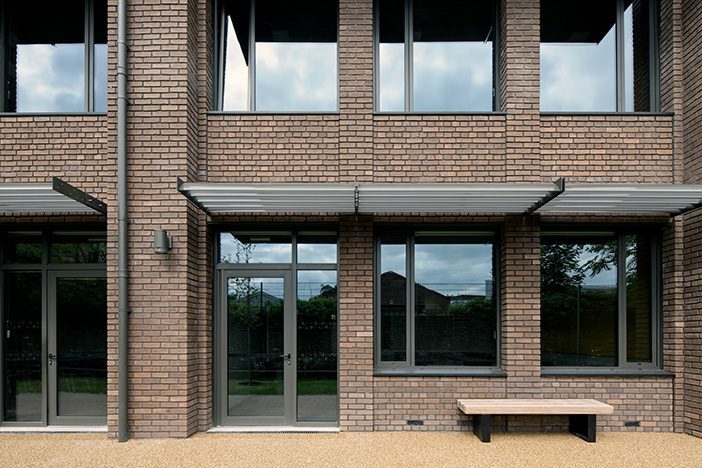 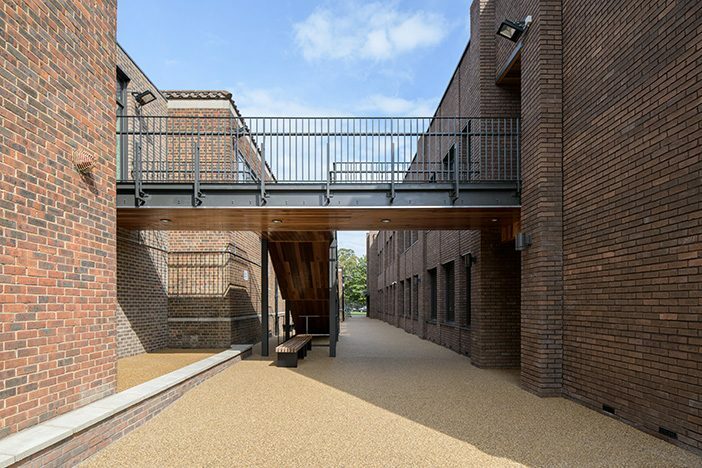 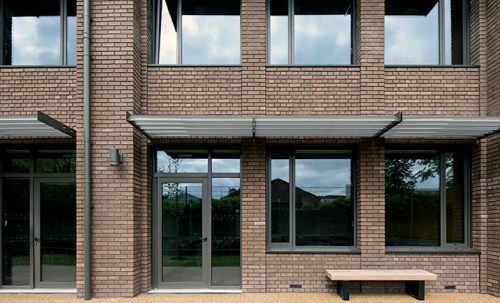 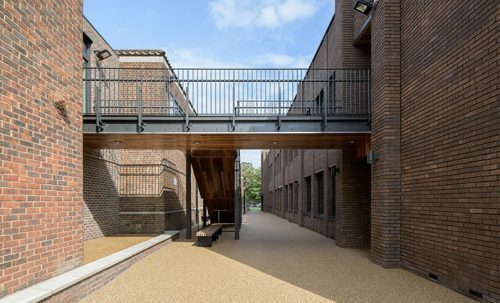 Situated within a Conservation Area, the building is designed around a simple yet elegant plan, with two rows of classrooms along a central corridor, offset to optimise views through and out while completing the urban form of the school’s forecourt. 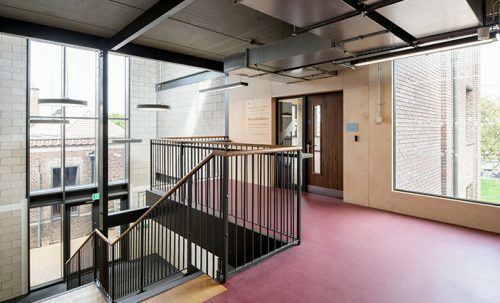 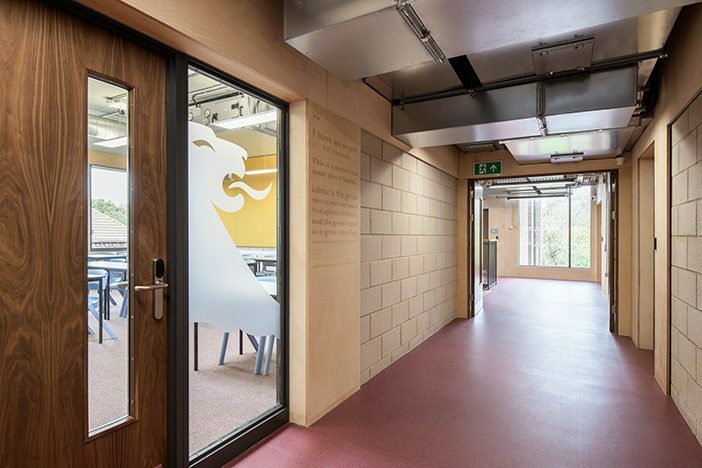 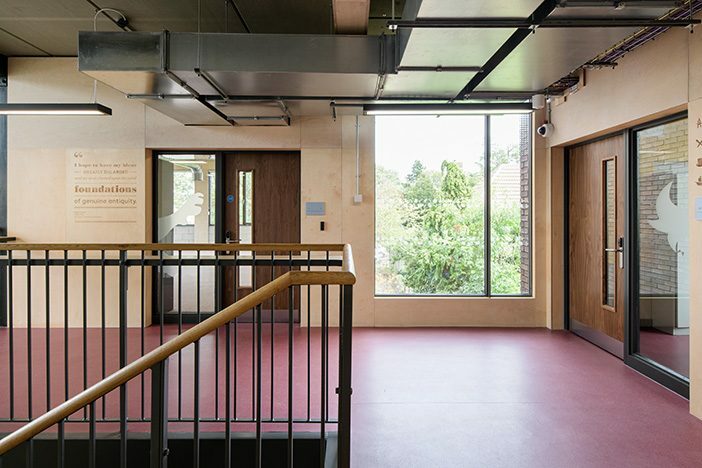 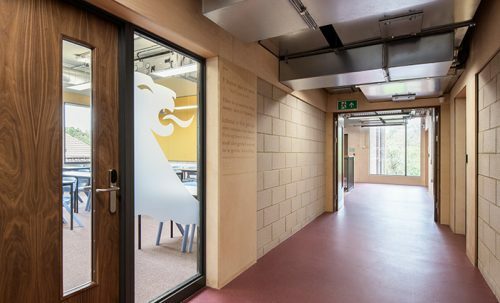 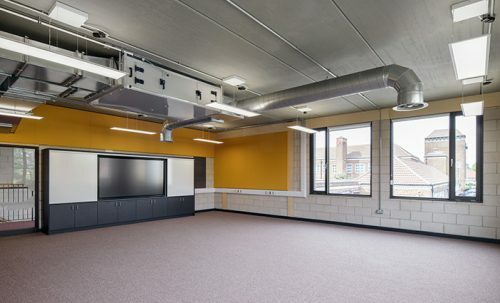 Larger rooms are given prominence along the Ridgeway Road elevation, celebrating the learning activities within. 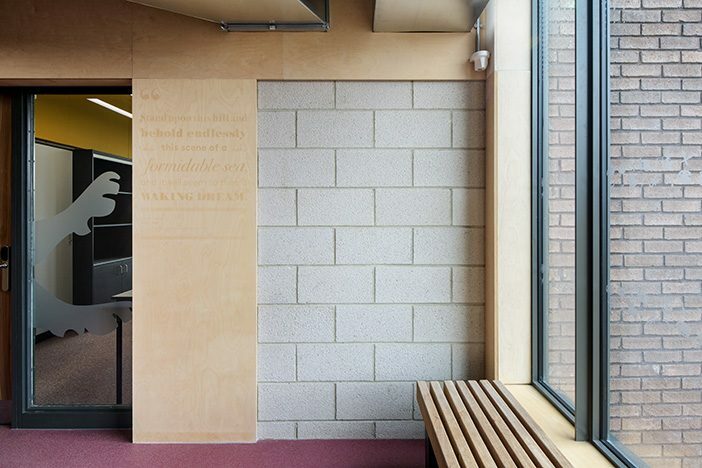 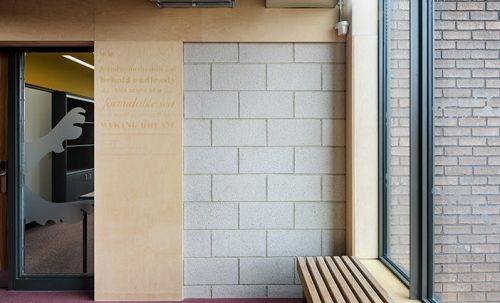 The masonry façade provides a contemporary take on the Art Deco style of the Golden Mile in which it sits, welcoming pupils into a generous entrance lobby that offers the flexibility of break-out space around a large staircase. 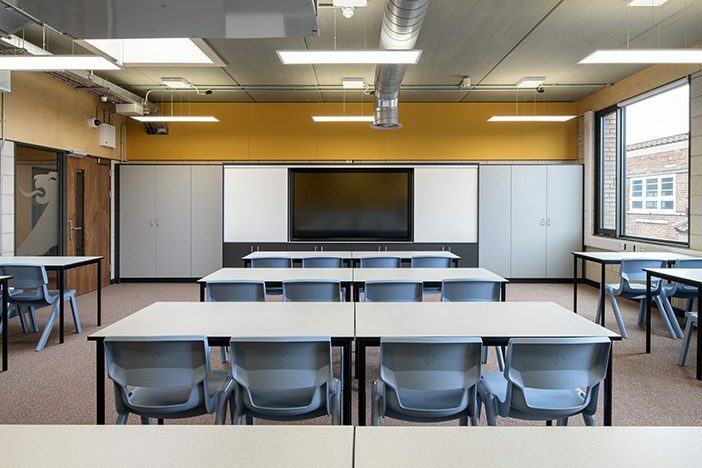 A rich yet pared-back material language is deployed throughout, offering robust yet cost-effective solutions that do not require excessive maintenance. 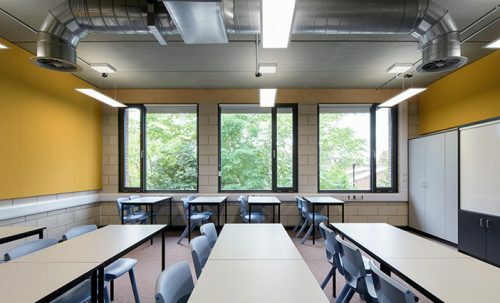 Innovative solar shading software has been utilised to generate the most appropriate shading solution for the classrooms to avoid overheating in the Summer months, while heat recovery systems the build on the success of the Humanities Wing Refurbishment maintain optimal indoor air quality under the noise of Heathrow-bound airplanes overhead. 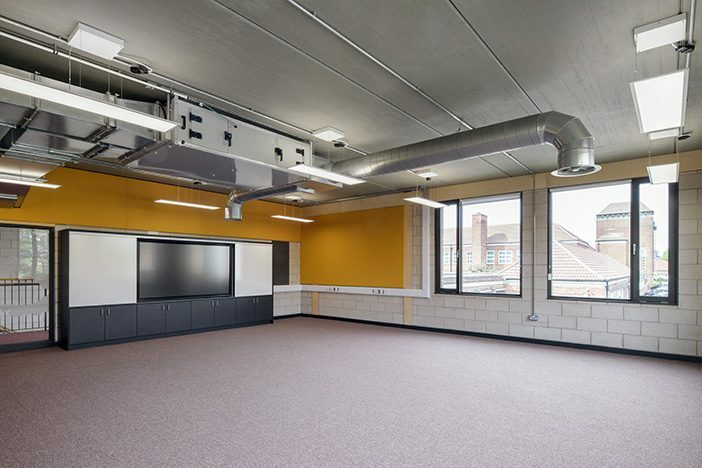 The project includes the remodelling of undersized classrooms within the existing building to create much-needed additional science facilities. 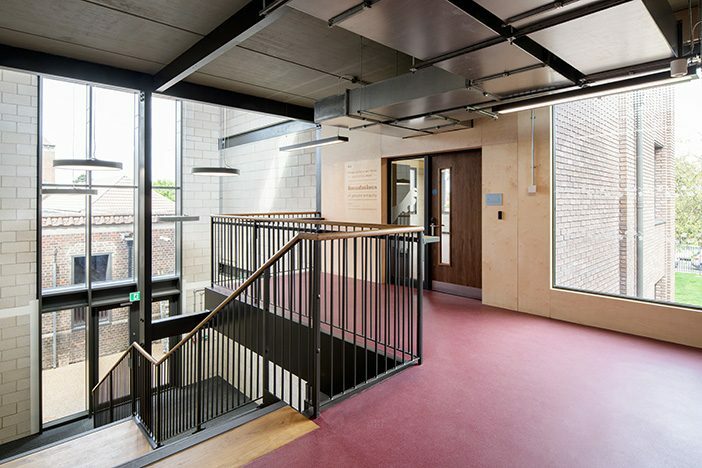 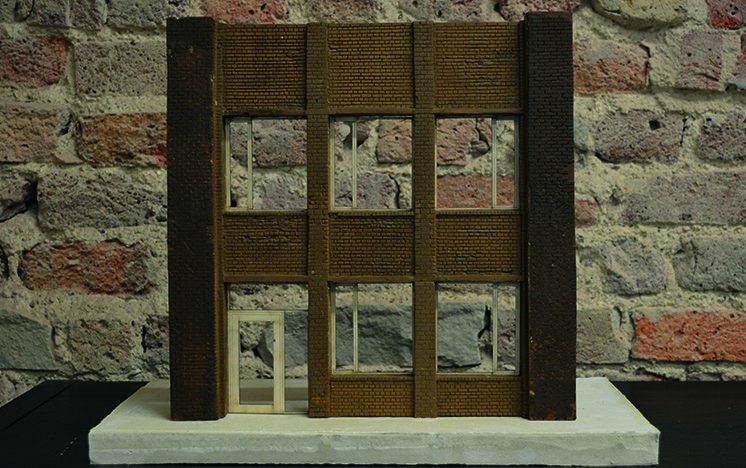 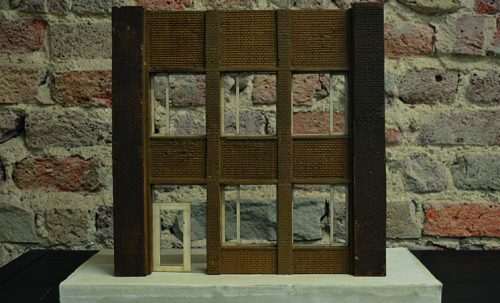 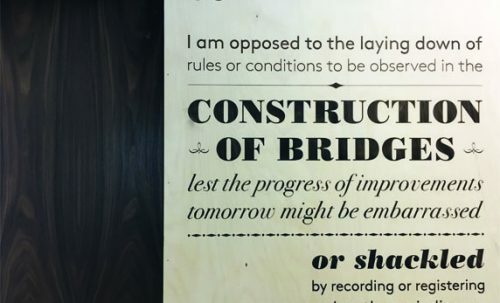 A physical connection between the old and new buildings will improve circulation and access throughout. 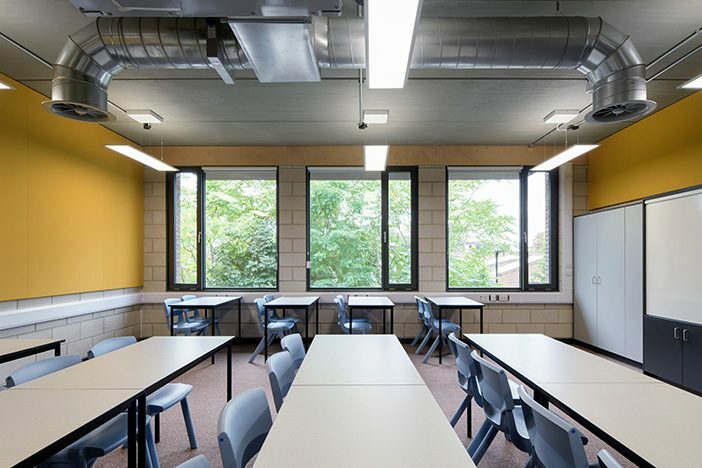 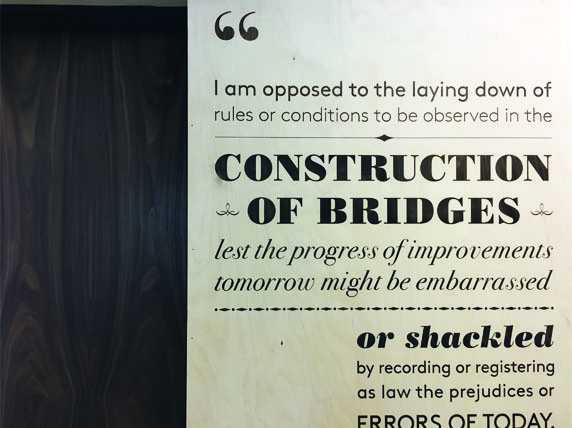 The expansion work builds on the themes and strategies developed for the School’s original masterplan. 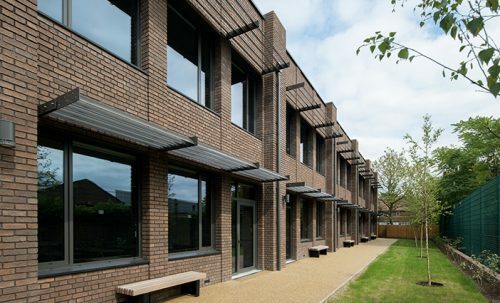 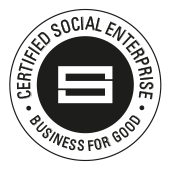 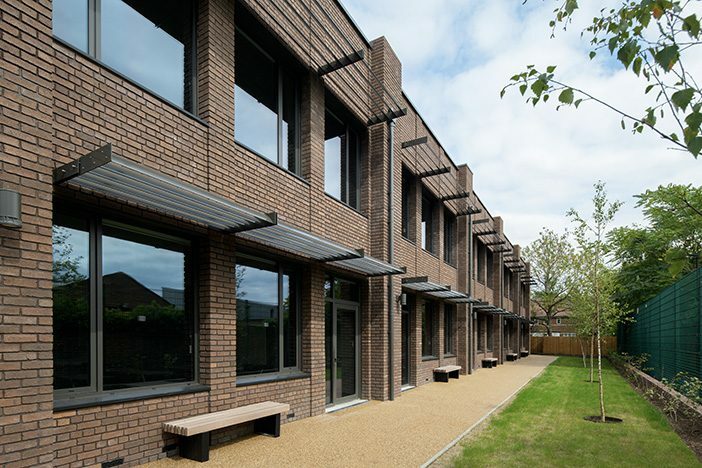 The scheme achieved a Very Good BREEAM rating.